As I’m sure many of you reading this blog will know, I used to offer a range of writing-related services as a business. That business started in 2013 and, as of last month, has now ended. It took me a long time to see it, but I was overstretching myself, and my mental health was paying the price. Going forward, I’m feeling confident that I have a clear idea of where I’m headed and how to get there. I’m still self-employed and that still consists of client work, but it is exclusively for writers and writing based organisations, now. The work is going to be carried out under the simple business banner of ‘Ellie Rose McKee, Author’ because, this time around, I’m not going to lose focus of the main strand of my career, which is writing for myself. My main client at the minute is the John O’Connor Writing School, and I’ve just accepted the post of Project Support Officer with Women Aloud NI. 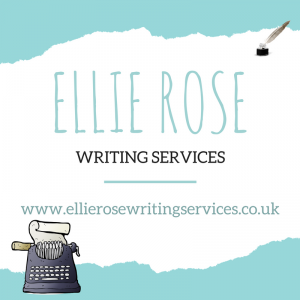 So, even though Ellie Rose Writing Services is no more, this is not a sad blog post for me to write. I was updating my CV just before writing this, looking over the testimonials I have received, and I’m damn proud of myself and everything I’ve achieved. Onward and upward, as they say! And so you should be, well done Ellie! Congratulations Ellie, well deserved. Stand tall!